The Pharmacology and Molecular Mechanisms (PAMM) group aims to stimulate preclinical and clinical research in Europe in the fields of: pharmacology, pharmacokinetics, pharmacodynamics, pharmacogenetics, pharmacogenomics, molecular mechanisms of anticancer drug effects and drug-related molecular pathology. Many publications in these fields come from collaborations with PAMM and other EORTC groups. A PAMM sub-committee on Drug Discovery focuses on identifying, evaluating and developing new anticancer agents. To assess potential drugs, the group’s academic scientists have access to a large range of in vitro and in vivo systems, including orthotopic and genetically-modified mouse models. Each year, the PAMM organises a winter meeting. This conference is a multidisciplinary event where scientists and physicians meet to share data and develop collaborations to improve drug development and translational research that travels “from the lab to the bed side”. There are oral presentations on the best papers submitted. The PAMM is an integral part of EORTC’s Translational Research Division, delivering information for projects with other disease-oriented groups, particularly in early-stage developments. These publications demonstrate the PAMM’s contribution to developing other anticancer treatments. 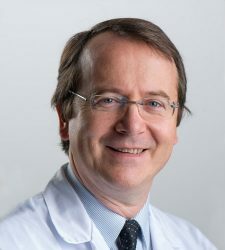 An EORTC study also demonstrated that the poor pharmacokinetic profile of E09 (eoquin, apaquizone) was an advantage in treating superficial bladder cancer. Another clinical trial led to the European approval of trabectedin, a naturally-occurring molecule, to treat soft-tissue sarcomas and ovarian cancer. Epidermal growth factor receptor tyrosine kinase inhibitors and chemotherapy: a glimmer of hope?